Steve Van Buren, the square-jawed Hall of Fame running back who led the Philadelphia Eagles to NFL titles in 1948 and 1949, has died of pneumonia. He was 91. 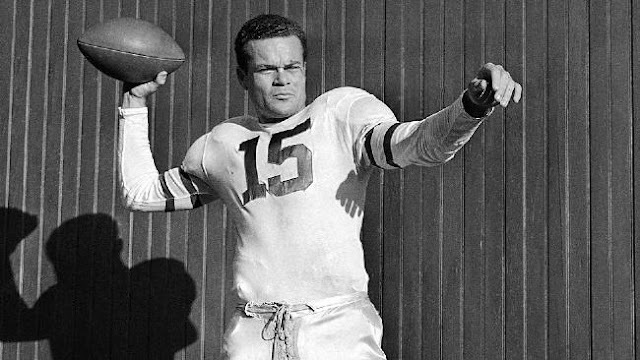 The former LSU star, nicknamed "Wham-Bam" for his quick and punishing running style, joined the Eagles in 1944 as a first-round pick. He led the NFL in rushing four times and finished his eight-year career with 5,860 yards rushing and 77 TDs. The five-time All-Pro player was selected to the NFL's 75th Anniversary Team in 1994, and was the first Eagles player elected to the Pro Football Hall of Fame. Van Buren was born in La Ceiba, Honduras. His parents died when he was 10, and he moved to New Orleans to live with his grandparents. He failed to make his high school football team as a sophomore, but played well enough as a senior to earn a scholarship at LSU. With the Tigers, Van Buren was used primarily as a blocking back until his senior season, when he led the nation in scoring with 98 points and rushed for 847 yards.